This bug is technically two bugs working in tandem. First: Cyan is killed while using his second SwdTech, 'Retort', and revived. This causes him to counterattack with Retort as a response to any physical attack, not just one against him. Second: While using Retort, Cyan is turned into an Imp. As an Imp under the Retort 'status', he only counter-attacks with a physical attack (as an Imp cannot use the Retort 'attack') and as a result the Retort 'status' doesn't come off. So basically, have Cyan use Retort, kill him, revive him, and turn him into an Imp. This causes both bugs to be active, and basically what that means is that he'll respond to any attack (by anyone, against anyone) with an attack, and then since the Retort 'status' cannot be removed (because Imp) and because he's reacting to any attack by anyone against anyone (because of being revived while under Retort) he counters his own attack with another attack, which he counters with another attack, which he etc etc etc. Fun fact, this was my second attempt because on my first I had Cyan using the Genji Glove with the Tempest in the offhand, but the Gale Cut proc on that one breaks the Retort cycle, since it's a magic attack. Funny thing is, I was only able to do this on my run, with modified No Espers but allowing Natural Magic, because I was assigned both Celes (naturally learns Imp) and Cyan. And I'm glad because it's gonna be my ace in the hole if I ever need it again. You learn something new everyday, as they say. I've never come across that bug before. Thanks for the explanation. Wonder if it's still present in the GBA version. It is, but it's activated a different way. It was pretty noticeable coming off of FFVI and Chrono Trigger, for sure. Yeah, someone at Squaresoft dropped the ball hard right around then. See Also: Final Fantasy Tactics. Y o u t a k e t h a t b a c k.
People focus on the easily repeatable memes, but the early Square games on PS1 (FFVII, SaGa Frontier, Xenogears) featuring the localization work of Michael Baskett and others display habitually good writing on a source basis as well as what the English forms of the scripts put down, despite all the grammar, contextual and syntax goofs in them. 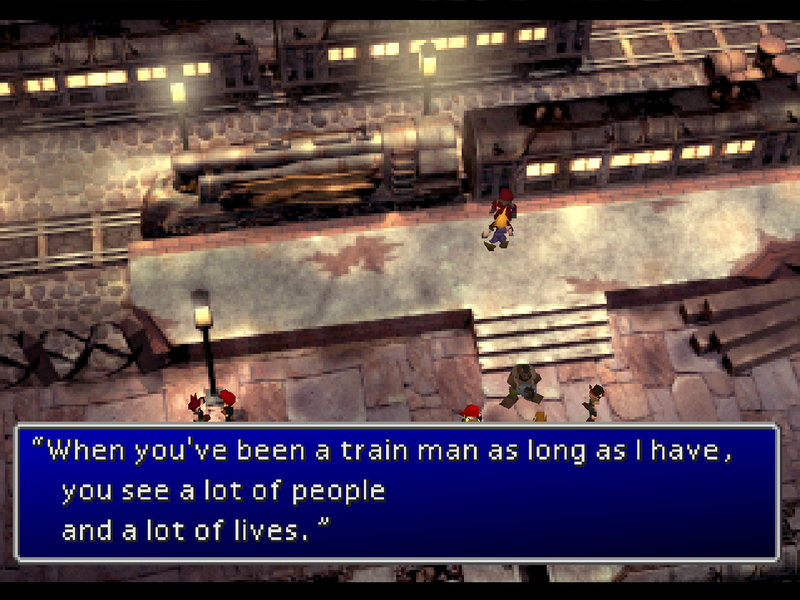 My favourite in VII is the train man, who's such a Masato Kato bit character. I love him. The crossing gate of his heart! I got a good feeling about the FFT localization. 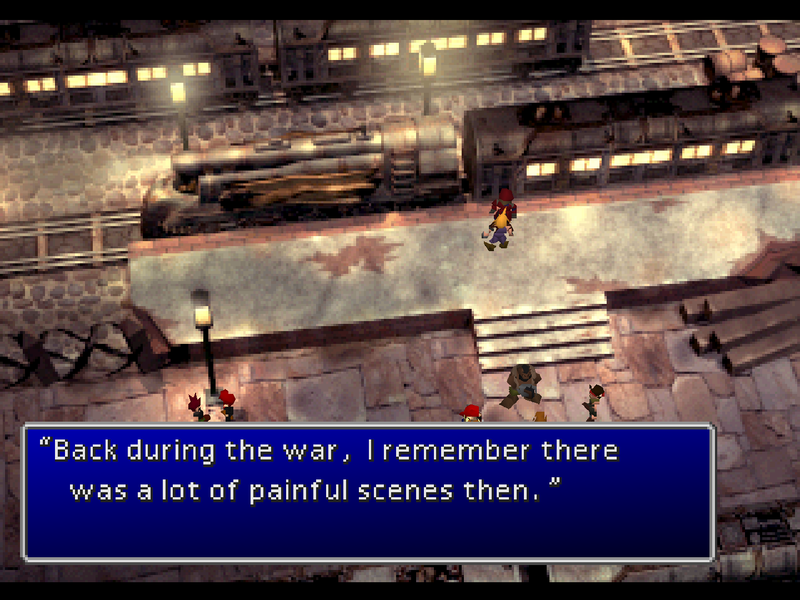 I know it's easy to make fun of Final Fantasy VII's translation errors but for being a couple of guys armed only with a Gameshark, it's pretty impressive. Every single one of those games had a challenging, large script and each came out distinct and brilliant. I just think what they accomplished in this era doesn't have to overshadow the good work put in by people who came before. IIRC the Daravon stuff was just given a quick first pass and then never touched again? It does make me wish they had swapped Mimic Daravon from sleep to confuse.. It's easy to dunk on FF7's translation, but Tim Rogers makes a convincing, exhaustive case that it's actually a lot better than assumed (I don't expect you to watch the entire video, let alone entire series. But there it is.). It stumbles at times on characterization, particularly with Barrett, Red and Tifa. But it's a decent location with a number of fairly rough edges otherwise. Same thing's pretty much true for FF2 SNES, though that's more an issue of space constraints. Didn't have too much trouble, for the most part. 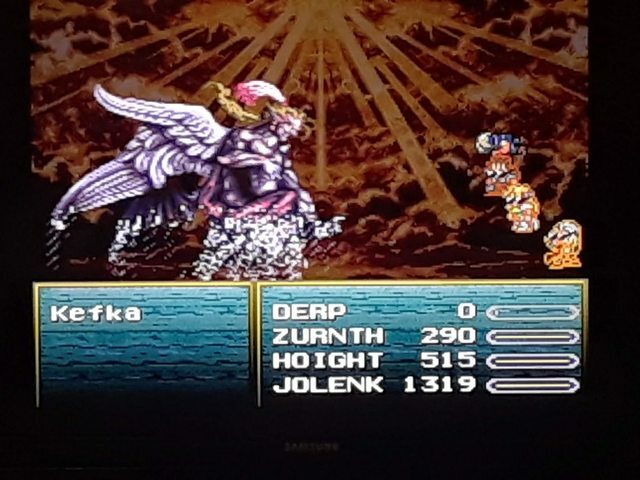 I had to make several trips in and out of Kefka's Tower, gradually whittling down the bosses with capable parties. Terra got sniped by a Calmness in the penultimate phase, so she got swapped out for Locke, fortunately it was Setzer that was my MVP. That Fixed Dice, guys, it's no joke. Overall I like this challenge and wouldn't mind trying it again, though with some tweaking. I think allowing Natural magic should just be baseline, rather than making players fudge the ruleset. Sure, it's only a benefit if you happen to roll Terra and/or Celes, but it's quite a benefit in that case. I'd also allow magic learned off of items, since there's only a few of those and they're not likely to be game breaking. (If someone REALLY wants to learn Ultima, then sure, spend time uncursing the Cursed Shield and then learning it, though that would probably take more time than you'd spend just moving on with it). Also, I'd consider allowing a select set of Espers. 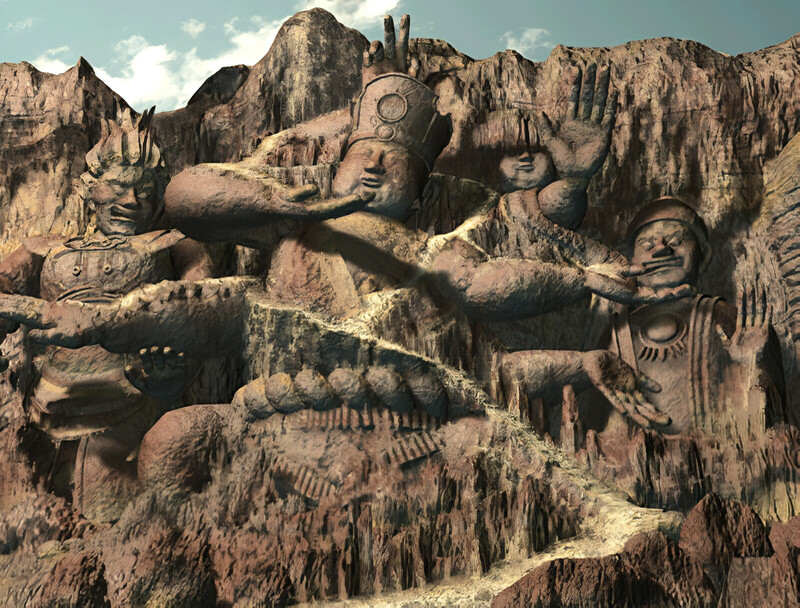 Maybe much like your characters are randomized, you could also get four random Espers you're allowed to use. There could even be additional modifiers that limit one specific Esper per character, which might let some characters develop in unexpected ways. FF6 isn't quite as open to ridonkulous randomized combos like FF5, but I think the formula could be tweaked just a tad, still. There could even be additional modifiers that limit one specific Esper per character, which might let some characters develop in unexpected ways. Sounds like a job for the romhackers. 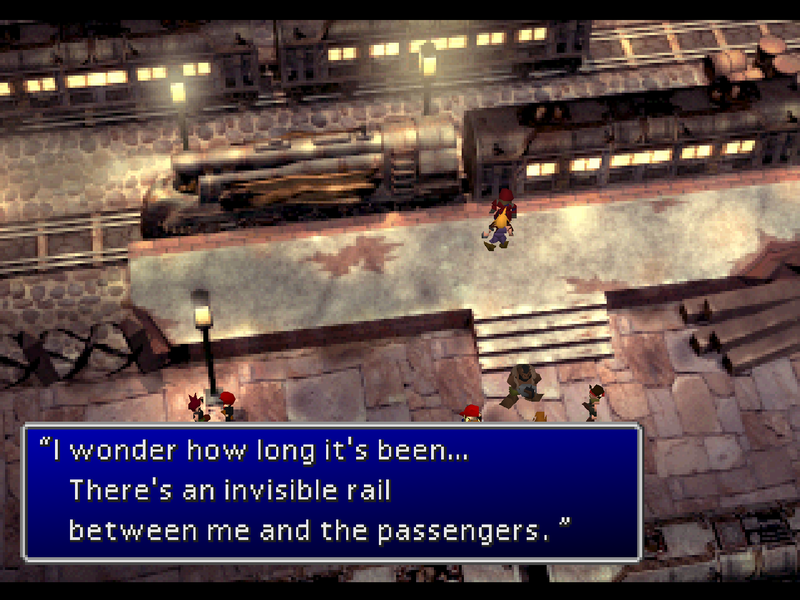 Someone used a neural network to upscale FFVII's backgrounds and made a mod for the PC version. The results seem pretty good! 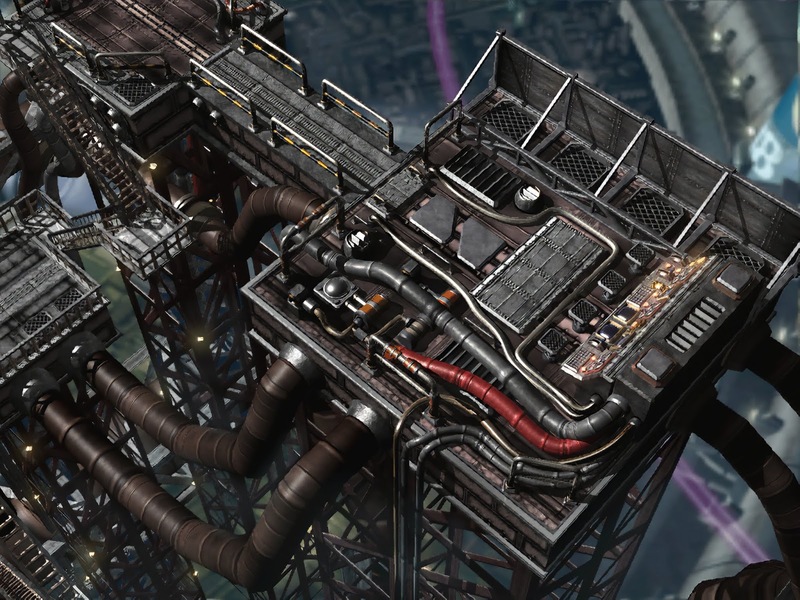 I am pretty sure the approach used for upscaling the image would work equally well for all prerendered video game backgrounds. And you thought "Zoom and Enhance" was science fantasy.